Product prices and availability are accurate as of 2019-04-21 11:58:17 EDT and are subject to change. Any price and availability information displayed on http://www.amazon.com/ at the time of purchase will apply to the purchase of this product. IMPORTANT NOTE: The remote is older dip switch style which does not sync to a garage door. This remote only works with 10 dip switch Multi-Code models. Compatible with Multi-Code receivers and transmitters. 10 Dip switch style remote operates on 300mhz frequency. Keychain remote one button with 12 volt battery included. Remote, keyring, & Battery included. 10 dip switch 300mhz multicode compatible. IMPORTANT NOTE: The remote is older dip switch style which does not sync to a garage door. This remote only works with 10 dip switch Multi-Code models 10 Dip switch style remote operates on 300mhz frequency. Remote, keyring, & Battery included. Compatible with Multi-Code receivers and transmitters. 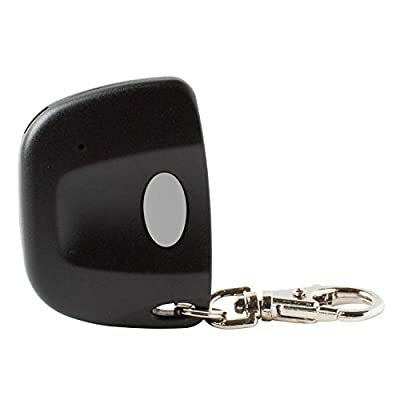 10 dip switch 300mhz multicode compatible Keychain remote one button with 12 volt battery included.